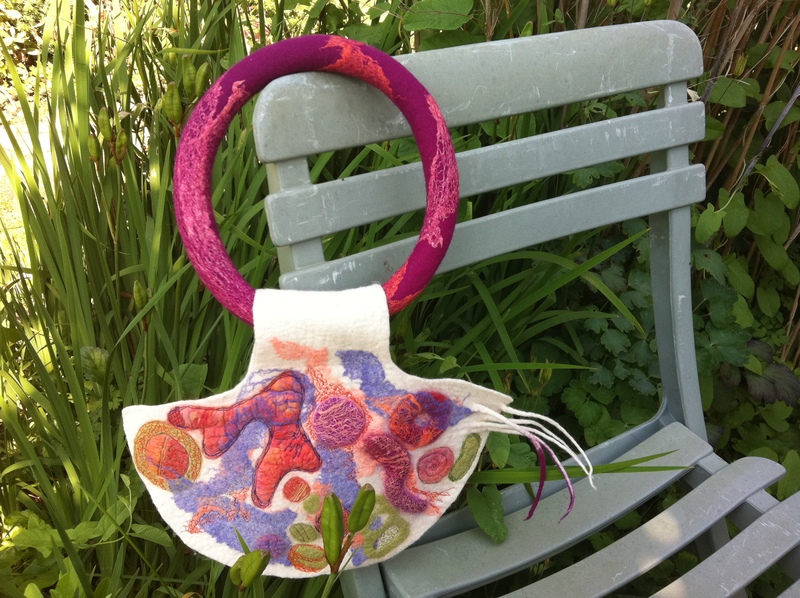 This entry was posted in Book, Book with Chrissie, Dying, Felt, Felt in Focus, workshops and tagged Felt, Felt in Focus, felt jewellery, felt jewelry, felt pendant, felt torc, Felting, free machine embroidery, Lisa Klakulak, pendant, torc, wet felt, wet felting by Nicola. Bookmark the permalink. Wonderful review from Living Crafts…and well deserved I might add. Just wanted to say how much I REALLY love this book I have been busy felting now for two days. The instructions are great and it has been such an inspiration to me. Thank you both 🙂 I have posted a few pictures on flickr of my recent work.